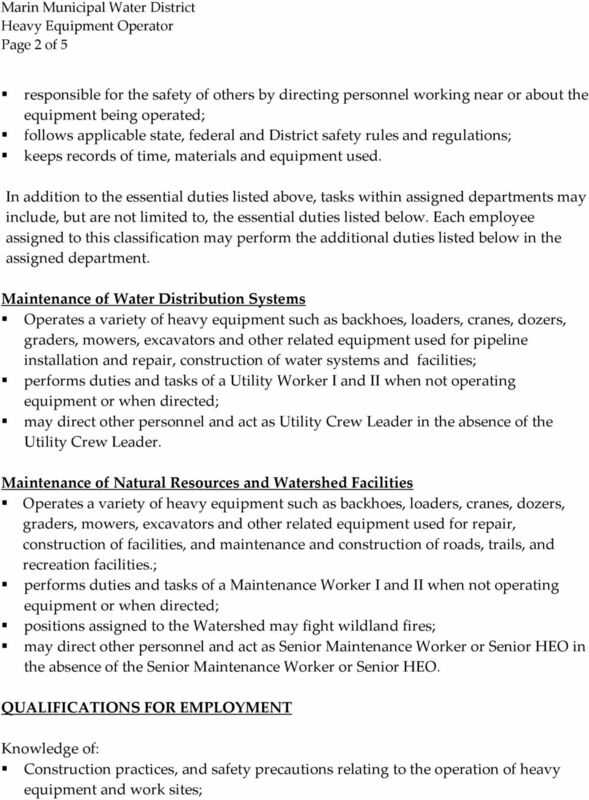 Download "MARIN MUNICIPAL WATER DISTRICT"
3 Page 3 of 5 Maintenance of Water Distribution Systems Street, road and highway locations in the County; operation of heavy construction equipment; water system and pipeline maintenance and installation practices. 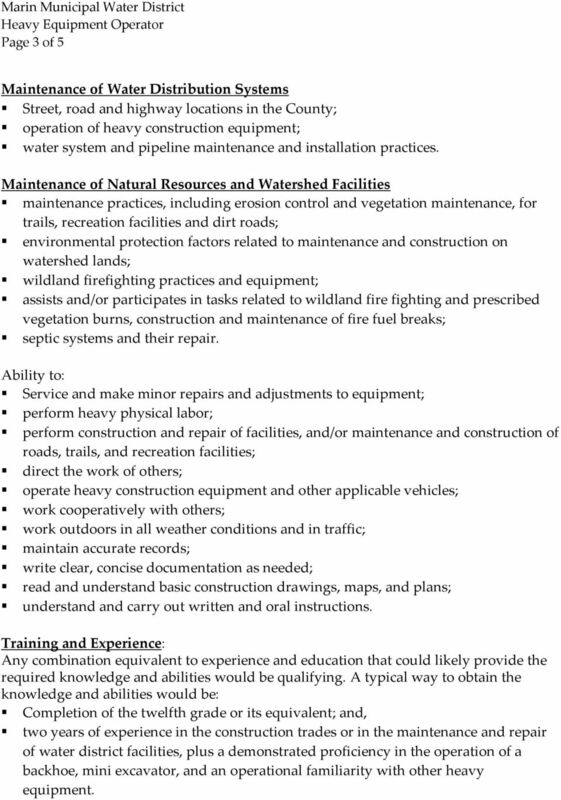 Maintenance of Natural Resources and Watershed Facilities maintenance practices, including erosion control and vegetation maintenance, for trails, recreation facilities and dirt roads; environmental protection factors related to maintenance and construction on watershed lands; wildland firefighting practices and equipment; assists and/or participates in tasks related to wildland fire fighting and prescribed vegetation burns, construction and maintenance of fire fuel breaks; septic systems and their repair. 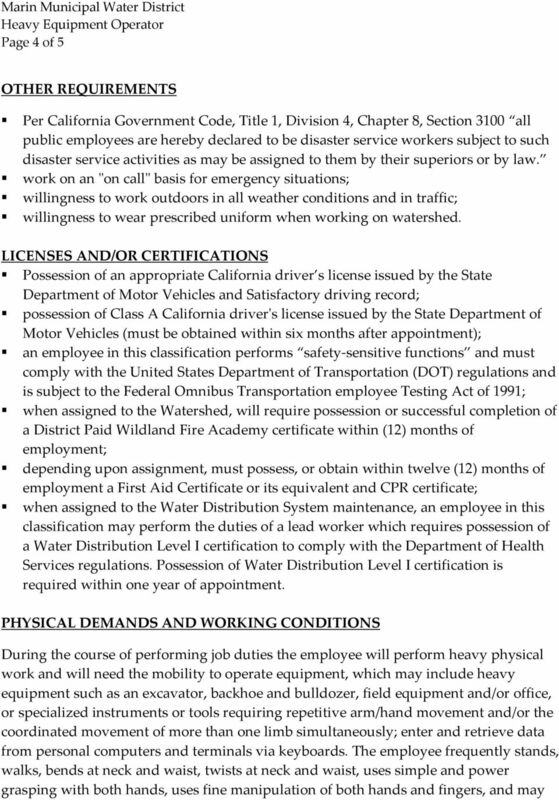 Ability to: Service and make minor repairs and adjustments to equipment; perform heavy physical labor; perform construction and repair of facilities, and/or maintenance and construction of roads, trails, and recreation facilities; direct the work of others; operate heavy construction equipment and other applicable vehicles; work cooperatively with others; work outdoors in all weather conditions and in traffic; maintain accurate records; write clear, concise documentation as needed; read and understand basic construction drawings, maps, and plans; understand and carry out written and oral instructions. 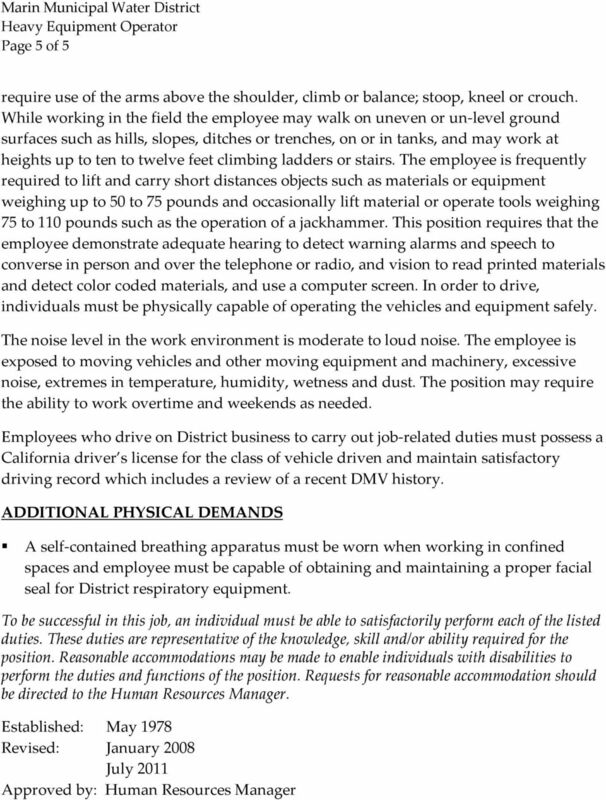 Training and Experience: Any combination equivalent to experience and education that could likely provide the required knowledge and abilities would be qualifying. 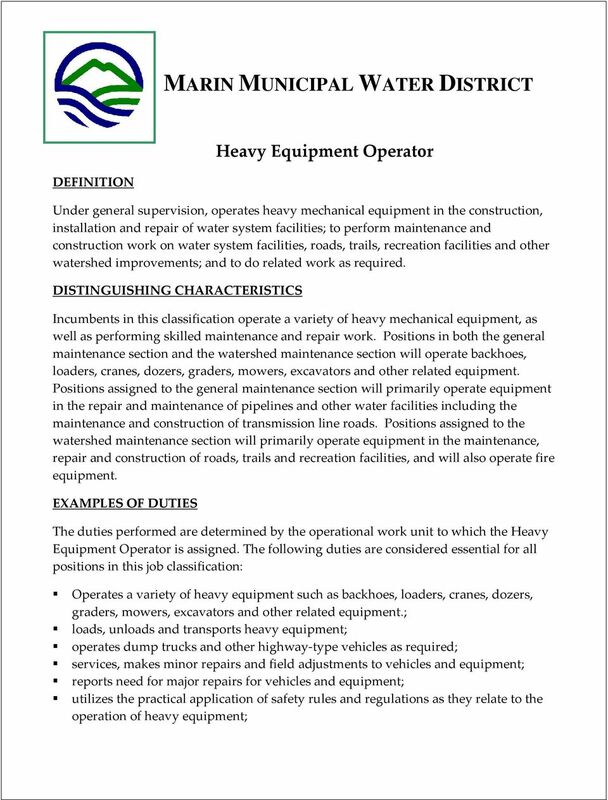 A typical way to obtain the knowledge and abilities would be: Completion of the twelfth grade or its equivalent; and, two years of experience in the construction trades or in the maintenance and repair of water district facilities, plus a demonstrated proficiency in the operation of a backhoe, mini excavator, and an operational familiarity with other heavy equipment.